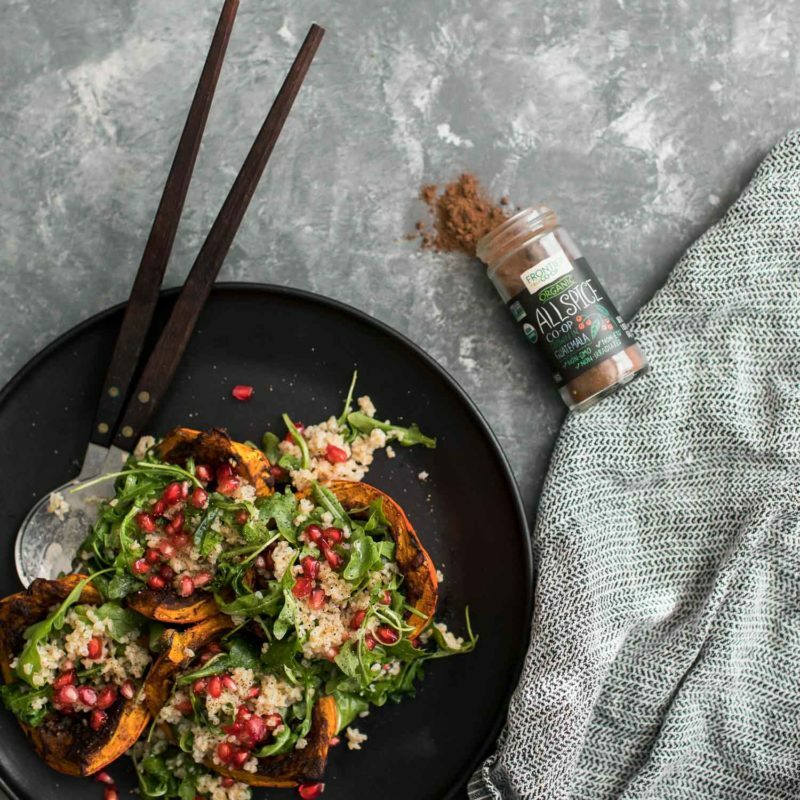 Jerk Roasted Kuri Squash with Bulgur Salad | Naturally. One of my favorite ways to serve squash is a dish that showcases the beauty of the squash. Usually this means the squash is left in a semi-whole state and stuffed. 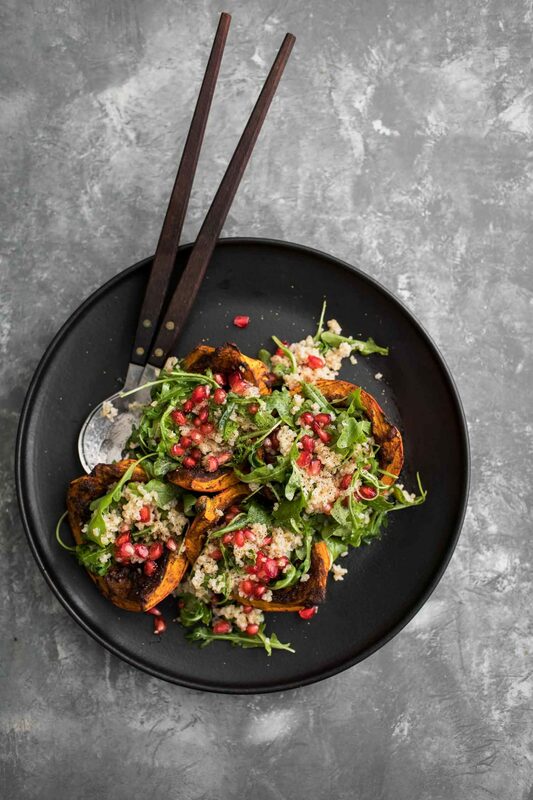 These roasted kuri wedges have a bold flavor matched with an easy bulgur salad topping. Perfect for the holidays or as a dinner for impressing your friends. 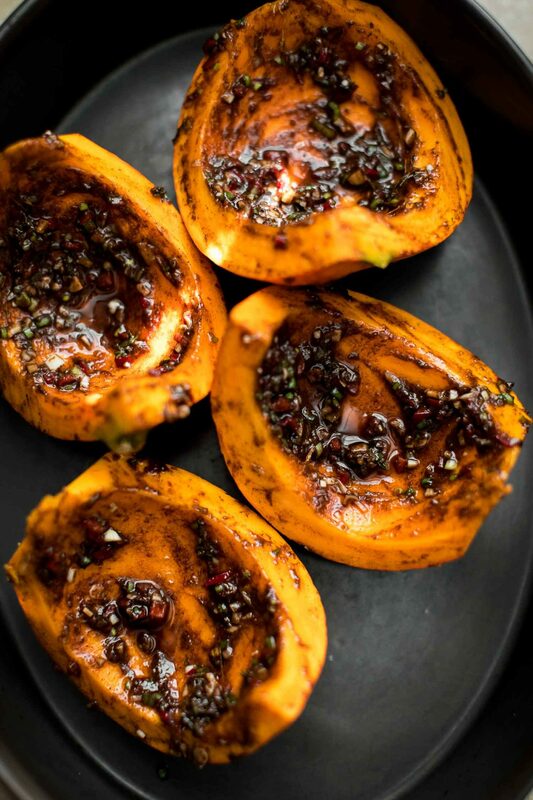 These jerk roasted kuri squash quarters are a bit of a mix between a traditional jerk marinade and the jerk seasoning. 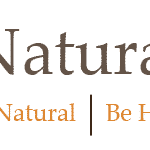 The marinade typically uses all whole and fresh ingredients (even down to fresh allspice berries if available). However, for ease of the recipe, I used Frontier Co-op’s ground allspice along with a bit of cinnamon to add warmth. Traditional jerk marinade also uses scotch bonnet peppers but I cook for crowds that need a bit lower heat level. Preheat your oven to 400˚F. Quarter the squash and remove the seeds. Place cut-side up in a roasting pan. In a small bowl combine the scallions with the fresno pepper, garlic, thyme, ginger, soy sauce, allspice, and cinnamon. Stir, adding enough olive oil to form a thick paste. Spoon the paste over the squash, spreading across all the flesh of the squash. Roast until the squash is tender, 35 to 45 minutes. 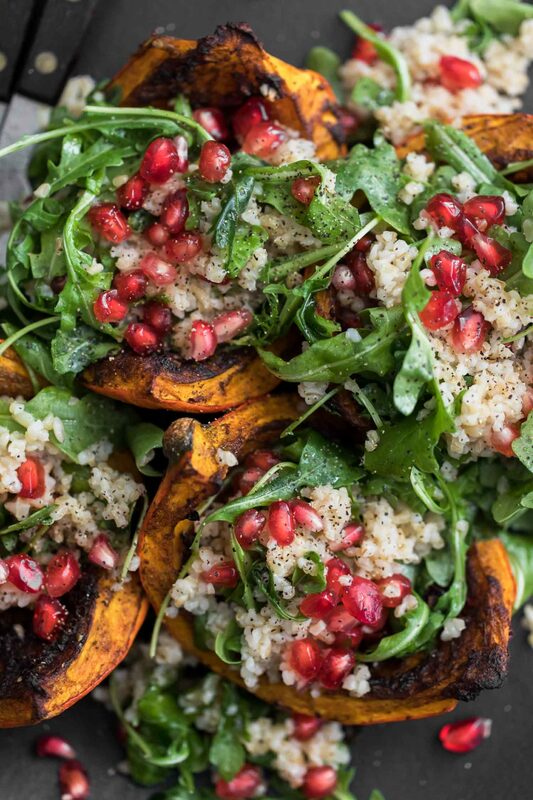 While the squash is roasting, combine the arugula with the bulgur and pomegranate seeds. Add in the vinaigrette and toss until combined. Once the squash is done, divide the arugula onto the roasted squash. Tips & Tricks: Make the marinade ahead of time if needed. Squash: Swap out the red kuri squash for acorn squash or even wedges of butternut squash. Greens: Swap out the arugula for chopped spinach or kale. Grains: Any grain will work with this. I like the quick-cooking of the bulgur but you could go with quinoa if you wanted an equally quick substitute. I also like a heartier grain, like spelt or sorghum, to add texture. Allspice is a fascinating spice that comes from a variety of evergreen. It’s the only spice that grows exclusively in the Americas and Frontier sources from Guatemala. The spice is delicious in savory, warm dishes as it embodies flavor profiles from spices like cinnamon, nutmeg, and cloves. Those flavors sound like they’d go beautifully together, I’m excited to give this a try! I am very interested in this recipe, but would like to see the nutrition info. There is no active link for that. Thanks.